Puerto Viejo, Costa Rica may just be the perfect tropical destination with the beach on one side and the rain forest on the other – a jungle teaming with wildlife, flora and fauna and, if you look closely enough, cacao. If you’re planning to travel in the Puerto Viejo area, you’ll be blessed with at least three different chocolate tours within 15 minutes drive. So far, we’ve done two of them on this trip and would recommend them both for different reasons. Here’s a quick run down of your options for local chocolate tours in the rain forest. In later posts, I’ll provide some more detail on our experience with each tour. One of the hotel owners dismissively described this tour as “just one house and one tree,” but I don’t think that does it justice. The tour is given by an indigenous family and includes a short discussion of other plant materials as well as insights into the indigenous culture. + Unique stories of the indigenous Talamanca culture. + Directly supports a local family. + You get to sample a fresh bean with pulp taken right out of the pod. + Relatively short tour at 30-45 minutes is perfect for kids or if you don’t have much time. + Large variety of handmade products for sale – bars, roasted beans, cocoa butter, drinking cocoa, jewelry, wood crafts, etc. – The presenter’s somewhat limited English made it difficult for her to answer some questions. For more complicated questions, our personal guide helped translate from Spanish. – Some of the chocolate for sale was either much too old or otherwise flawed to the point of being inedible. The samples were fine. Ask for fresh stuff before buying. Location: Travel north out of PV about 10 minutes until you come to the main junction at Hone Creek. Turn left at the sign for Bri Bri. 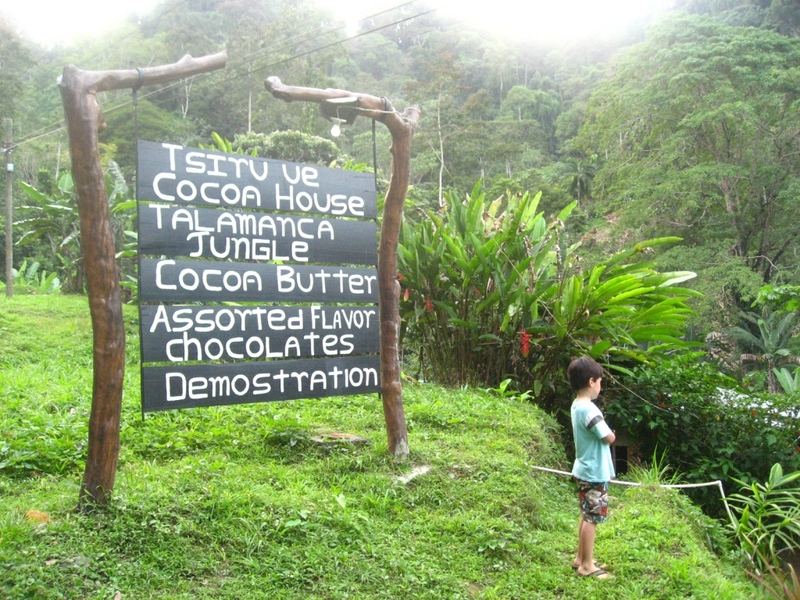 The Cocoa House is about 2-3 KM up on the right hand side with a large sign on the street. You can also use the personal guide that we hired to take you to the Cocoa House and up to a nearby waterfall for a swim. It’s a nice combination for an afternoon. Call Kendrick at 8862-2336. He’s a warm and trustworthy guy. If you use Kendrick, you will still need your own car. Cost: about $5 per person. Children are free, but it may depend upon their age. This tour is set on a beautiful large property that was one of the first cacao farms in all of Costa Rica. You can see both vibrant cacao trees with growing pods as well as the old plantation affected by the fungus which pretty much shut down the cacao trade in Costa Rica in the late 70’s. It’s an informative, relaxed tour with knowledgable staff. There’s also a clean and large restaurant to grab some refreshment before or after the tour. + You eat chocolate made fresh in front of you. + You take an easy walk through the jungle and see a variety of plants such as banana trees, orchids, medicinal plants and, of course, cacao. + There is an assortment of functional and vintage chocolate making equipment to see. + The tour includes an indigenous peoples museum. + The 2 – 2.5 hour tour is about the right length (but probably too long for young children). + They have guides who are completely fluent in English and Spanish. + You are sent home with a free sample. – The orchid garden is hit or miss. We didn’t see too much in bloom while we were there. Location: Drive north out of PV for about 15 minutes. After you pass the large gas station on the left, it’s maybe 3-5 minutes more. On the right hand side with a large sign that you probably saw on your way into town. Website. Cost: about $25 per person. Children are free, but it may depend upon their age. We didn’t do this tour because we didn’t have enough time and there is a required minimum of 4 people in your party. The tour is owned and operated by a swiss couple who has been doing this for more than 15 years, so you can bet they know their chocolate. The location is easy to get to, especially if you are staying in Playa Chiquita. + Swiss couple speaks English, Spanish, German and French. + More information is given on cacao cultivation. + Samples include drinking chocolate. Location: At the south end of Playa Chiquita on the right hand side. It’s not clear if you can drop in to talk to them, but try. Otherwise, call for a reservation and they may be able to combine you with a larger group. Cost: about $22 per person. The word “plantation” is emotionally loaded in US culture, but it seems just about everyone else is using it to describe a place where cacao is cultivated . I’ve tried using “farm,” but that brings up images of cows, pigs, corn and manure. So, I will cave in and start using “plantation” from here on out. Sugar and milk solids are added, so this is really a hybrid style having the graininess of an authentic local chocolate, but the sweetness of a European recipe. Still, it won’t be like anything you’ve ever tasted. 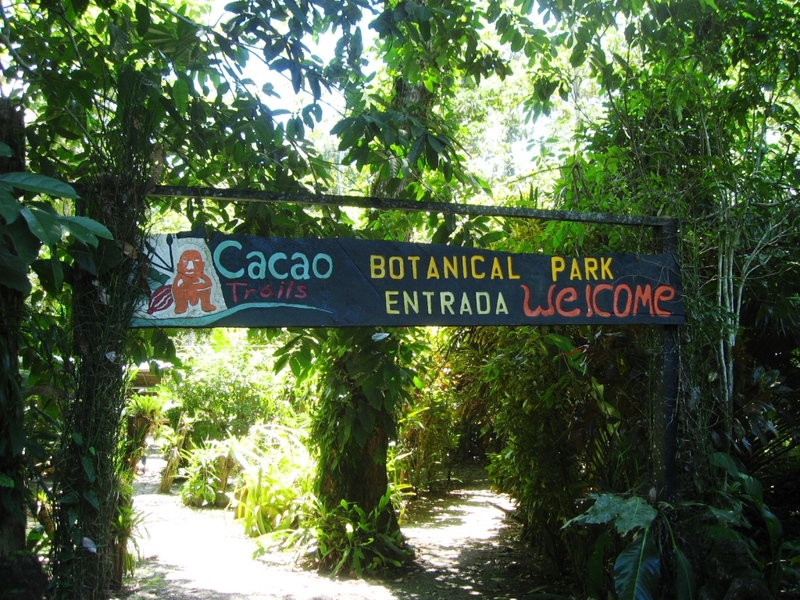 This entry was posted in Costa Rica, Travel and tagged Chocolate, chocolate tours, Costa Rica, dark chocolate, Travel. Bookmark the permalink.